After a multi-million dollar hotel redesign, your experience is sure to be enhanced by the rejuvenating design that honors the heritage and skill of Colonial craftsmanship. You will notice designs that mimic the hotel’s surroundings and bring the area’s attractions inside, giving you an instant sensation of tranquility through their modern efforts. Enjoy a hand crafted cocktail at the 1950’s inspired Avery Bar while warming up next to the fireplace. 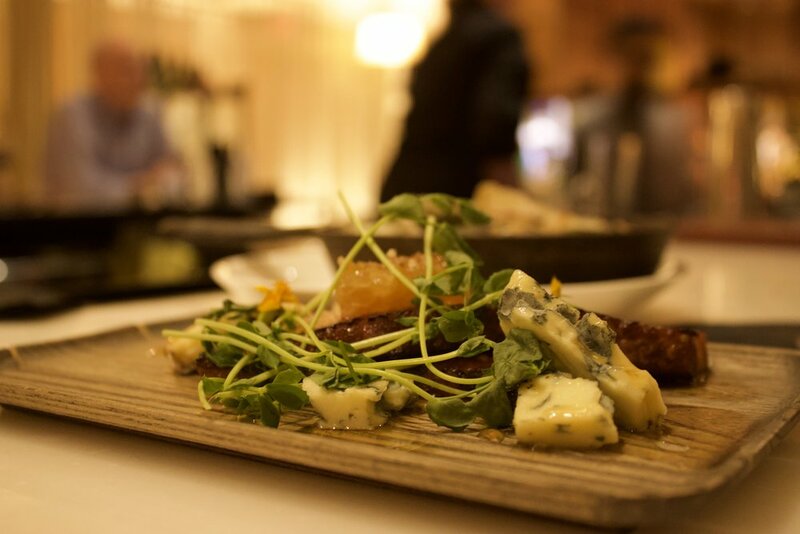 Dine at the Artisan Bistro and satiate in modern American cuisine crafted with local ingredients. You may find yourself wanting to work off all that you just indulged so head over to the adjoining Equinox Sports Club and Spa and make room for more delectations at the Ritz-Carlton Club Lounge where you will have access to complimentary culinary offerings and space to relax, work or dine. The Ritz-Carlton Boston is truly a personalized stay where staff have the desire and tactic to insure you have a memorable 5 star stay. All the accommodations I mentioned above are at your fingertips and something I can guarantee to be apart of your personal stay with The Ritz-Carlton, Boston. As for my personal experience, I can genuinely say this stay was by far one of my favorites in the city. The moment I walked into the Ritz-Carlton, I knew I could leave my worries and stressors at the door and fully embrace a meticulously detailed and thoughtful stay. I was immediately greeted by the check in desk staff as my eyes glazed over in awe of the warmth and holiday welcome that was the first impression of the property. I was surrounded by twinkling lights that’s illuminated the lounge area. The more I look at the detail of interior, the more I wanted to wrap it all up and bring it home with me. That said, I felt at home. A place I wanted to call my own. Seamlessly I was given my room key and off I went as a bellman kindly helped with my belongings and accompanied me to my room. I stood in front of double doors as the key granted access to what I would soon find out to be my personal oasis. If I had my bags in hand they would have dropped to the floor, but instead my jaw did. I excitedly ran through the suite checking out all the space I was offered and just how I would use it! The entire walk through was light up by day light streaming in from the stunning views of the city. I had views of the Boston Common, and beyond. I quickly understood that I was located in the best part of town. I had the best of both worlds. Luxury and comfort within my suite and the ability to explore the city with ease with The Ritz-Carlton’s location. I want to focus on one thing in particular about this stay that completely grounded me. After exploring the property and returning to my suite after a personalized experience at the Club Lounge (an extra I urge you to tag onto your Ritz Carlton stay) I poured myself a glass of vino as I watched the city come to life in the night fall. I found myself in deep reflection of all the opportunities that have presented themselves to me this past year and how I have carefully handled each one as I strive to follow my dreams. One of which I found myself to be in. As a little girl I admired a television star. No not Britney Spears or Jennifer Aniston. I adored Samantha Brown of the Travel Channel's Great Hotels, Passport to Europe, Great Weekends, just to name a few. She was able to explore the world as a travel blogger reviewing hotels & Resorts for all of us to experience vicariously with her. She was able to “test drive” a hotel for us before we pull the trigger and book are next trip. She also had a way that inspired us to book our next trip and truly make life about experiences. I wanted to be here when I grew up. And though I am still “growing up” I feel that much closer to this goal. I want to be a professional Robe Wearer. As I made myself chuckle with this self-proclaimed title, I heard a knock on my door. I opened the door to the head of Housekeeping who had freshly pressed pillow cases and a robe in hand. I thought to myself how completely unnecessary but thoughtful this was of the Ritz Carlton. As she hung the robe she said, this is for you to keep. I became curious and as I looked more closely, there was a handwritten note tucked in next to the sleeve where I found my initials, C.R., embroidered. My eyes started to tear up with content happiness. Could this be true? Is my dream of becoming Samantha Brown more of a reality? I can now official say, as if I had a name plate on a desk, that I am well on my way to becoming a “Professional Robe Wearer”. I was beyond honored to have a name like The Ritz Carlton elated to have me as a guest and further more interesting in me, my work and reputation to welcome me into their home. Looking back at how all of this started I found myself exactly where I should be no matter if I feel I am completely there yet. In summary, I cannot thank the Ritz-Carlton enough for their open arms and support. This should serve to you as my readers and audience that a Ritz-Carlton experience is truly one of a kind. They will and can go above and beyond to ensure your stay is something you crave to endure again. If I someday, which I will, travel the world, The Ritz Carlton is a home I will always seek out.